This statistic shows the distribution of the self-employed workforce by industry in the United Kingdom (UK) between January and March 2018. 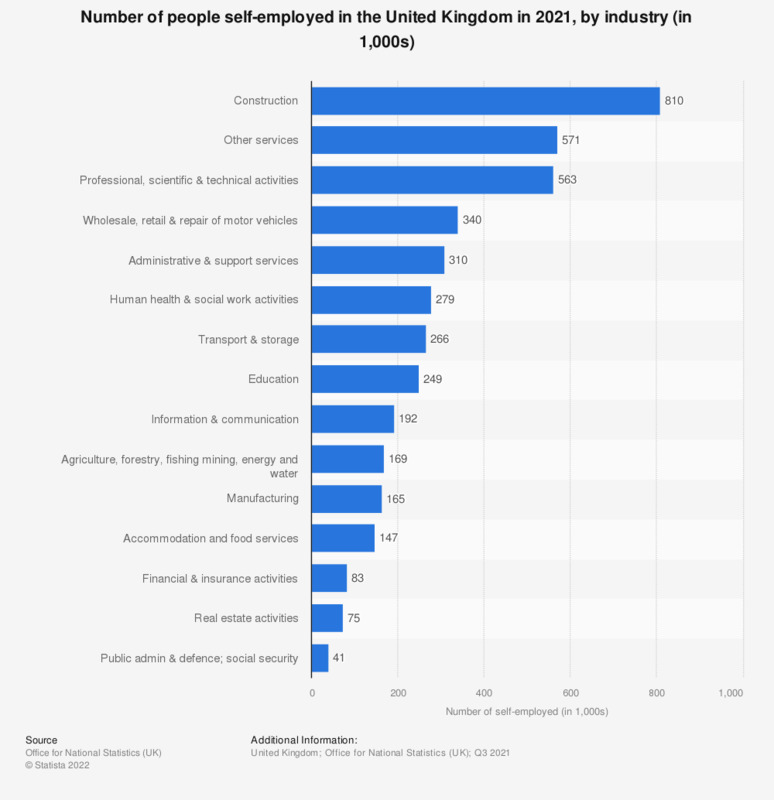 The number of self-employed workers in the construction industry accounted for around 934,000 employed people, making it the largest self-employed workforce in the United Kingdom. The 'Professional, scientific and technical activities' section and 'other services' section also have a large proprotion of self-employed workers, with over 570,000 of them in each industry.